Breaking The Static- Opening Night October 21st. 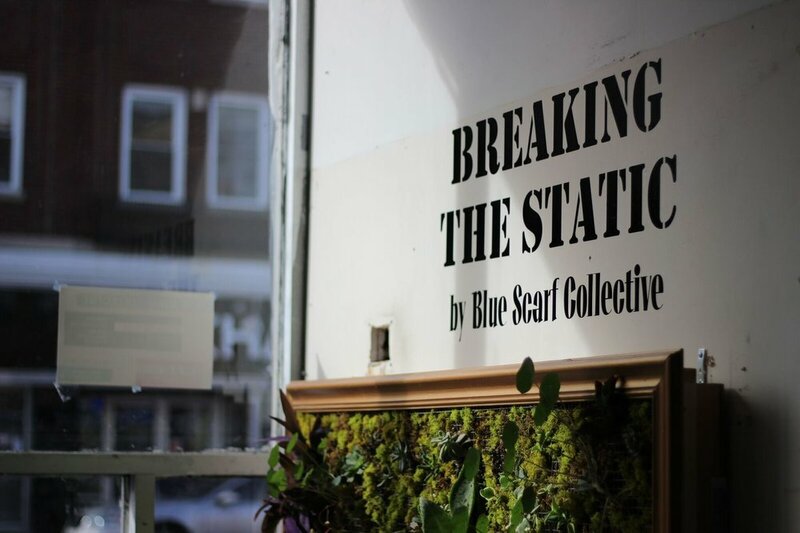 Blue Scarf Collective is pleased to announce its inaugural show, Breaking the Static, featuring participating collective members: Nancy Cook, Jessica Gidal, Heather Hamilton, Samar Hussaini, Sarah Klein, Danielle Masters, Jen McClory, Julia Petra Briggs, Sherry Sacks, and Cat Tate Starmer. The show opens Friday, October 21st and will run until Monday, October 31st. Regular hours post-reception will be 10 a.m.-6 p.m. on Saturdays and Sundays as well as Halloween Monday, October 31st. Breaking the Static will present contemporary painting, sculpture, living art, fiber art, light installations, film and photography. 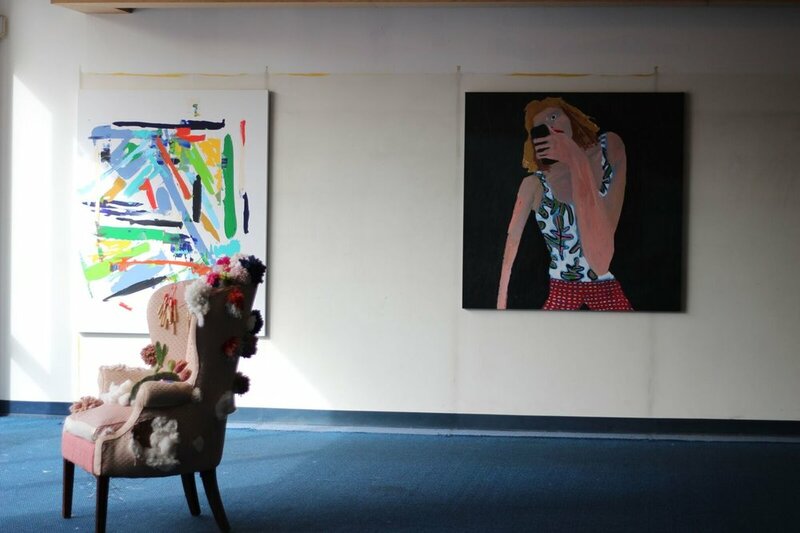 The collective has transformed the abandoned Blockbuster video space in South Orange, NJ into a gallery. Over 6,000 square feet of raw space will showcase works all exploring themes of movement. This theme is central to the collective’s goal of altering perceptions of the suburban art experience. And what better metaphor for this than breathing life into an abandoned space that once housed a staple of suburban reality: the local video store. The kick-off reception will be held on Friday, October 21st from 6-10p.m., featuring drinks and musical selections by DJ Sew Nancy.